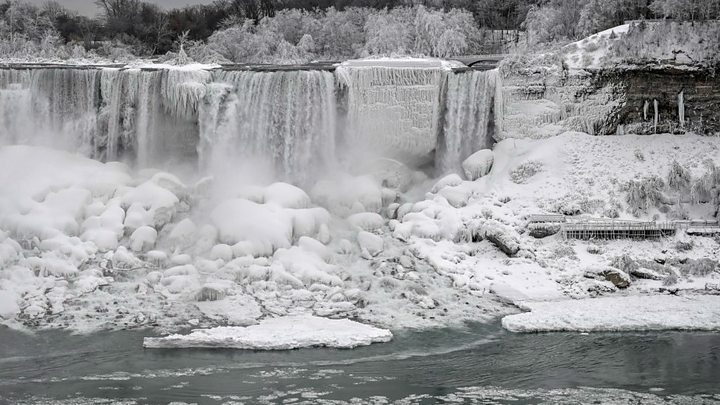 At least eight people have been killed in several states as a result of the Arctic weather. Snow fell throughout Wednesday, from the Great Lakes region into New England; as much as 24in (60cm) was forecast in the state of Wisconsin, and 6in in Illinois. States of emergency have been declared in the Midwestern states of Wisconsin, Michigan and Illinois, and even in the normally warmer Deep South states of Alabama and Mississippi. 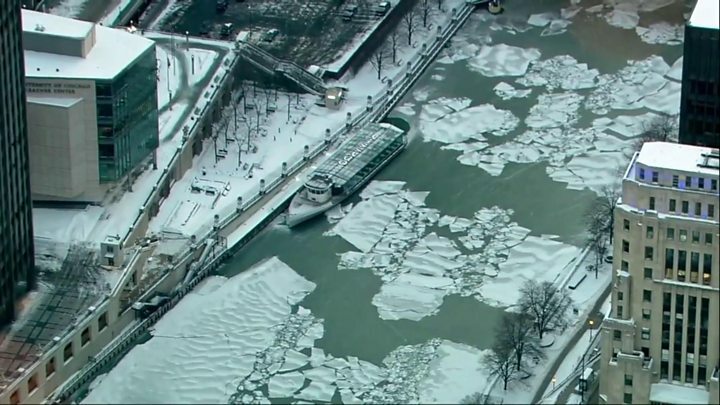 Dangerous wind chills across the Upper Midwest and into the Ohio Valley were expected to last through Thursday, with heavy snow downwind of the Great Lakes, the NWS said. Heavy rain and mountain snow were expected in the west of the country by the weekend, it added. On Wednesday, two Michigan residents were found dead in their neighbourhoods, the Associated Press reported . Officials say one may have become disoriented and wandered into the cold without proper attire. On Tuesday, a 55-year-old man froze to death in a Milwaukee, Wisconsin, garage, with the medical examiner’s office ruling he “apparently collapsed after shovelling snow”, local media reported. A 75-year-old man was killed by a snow plough near Chicago on Monday. The driver of the plough has been placed on paid leave while the incident is investigated, according to WGN9 News . And a University of Iowa student was found behind an academic hall several hours before dawn on Wednesday, reports say. Tony Neeley told the New York Times : “A lot of us don’t go to the shelters because of bedbugs. We don’t go because people steal from you. Will you be working outside in the cold weather? 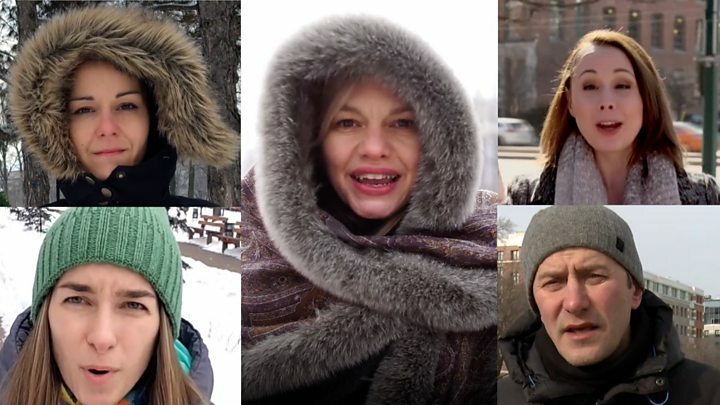 How are you planning to cope with the extreme cold? Let us know by emailing [email protected].